Sorry... the 2017 GMC Sierra 1500 is no longer being sold as new. Instead, take the first step to a great deal on 2019 GMC Sierra 1500 with a free price quote! 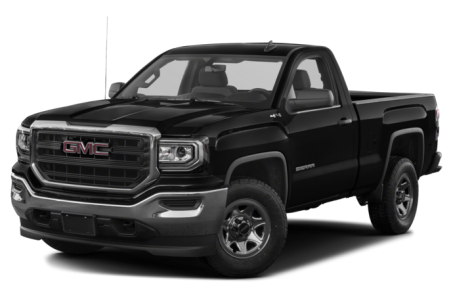 The 2017 GMC Sierra 1500 is a popular full-size pickup truck that is based on the same platform as the Chevrolet Silverado 1500. It competes with the Ford F-150, RAM 1500, and Toyota Tundra. The Sierra comes in a regular-cab, double-cab, and crew-cab bodystyles. Cargo-box lengths range from 5 feet 8 inches to 8 feet. 75 of 80 (93%) consumers said they would recommend this vehicle to a friend.